1957 meant big changes for Christchurch. It was International Geophysical Year and the United States Navy had arrived in town. And there were symptoms of local discontent. Young people were beginning to push against New Zealand’s puritan patriarchy, they didn’t want to be young adults, they just wanted to be allowed to be young. In March, there was a “skirmish” between large numbers of military trainees and teddy boys in Cathedral Square. 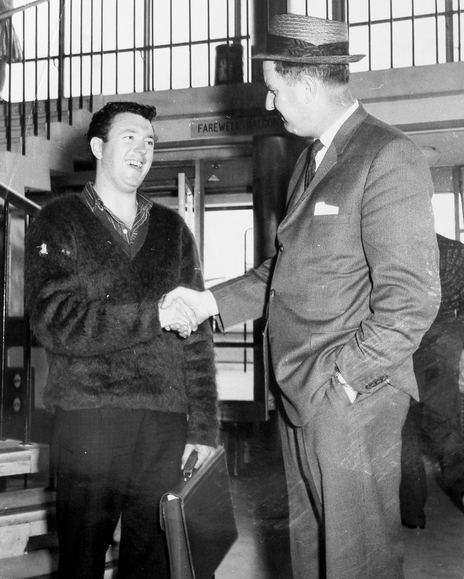 Trouble started with the exchange of verbal threats, the trainees declaring they would “throw the teddy boys out of town”. When a trainee’s hat was flicked off, feelings started to run high. The discontented groups moved down Colombo Street, past the Tivoli Theatre, and into Chancery Lane. An egg was thrown but it smashed on a shop window “without injuring anyone’s feelings”. As the noise and numbers grew, among them by now several teenage girls, the mob moved via Gloucester Street to the Avon where an open fight developed. A city SCREAMS in TERROR! ‘Kill you for a Woman? Mr Buck was one of a series of Australian evangelical missionaries using primitive multi-media to pull provincials into the new fundamentalist churches. For teenagers, the pubescent “baby boomers”, there was not much else to do except the Coca-Cola Bottlers’ Club run out of the Civic Theatre. Trevor was looking for a sound to entertain them; a voice, a combination of American rhythm and New Zealand inflection. Sam Phillips had heard a voice in Memphis, Tennessee, just a couple of years before, when 18 year-old Elvis Presley walked into his recording studio to make an acetate for his mother’s birthday. Trevor was riding the global zeitgeist. Nationally, there was a referendum on capital punishment and price controls were lifted from dried figs, currants and prunes and all forms of macaroni, spaghetti and vermicelli. Locally, price control was lifted from the Carlton Hotel and there were eight naval ships in Lyttelton Harbour: frigates, ice-breakers and supply vessels. The Americans had been planning an Antarctic program, allegedly for scientific investigation, since 1950. In January, 1955, Air Development Squadron (VX-6) was formed to conduct operations in support of it. In June, the US made a unilateral declaration that it intended to establish a base in the southern polar region. VX-6 flew to Christchurch in November. On 19 December, it left for Antarctica. The Dakotas (R4Ds) had to turn back, but the aeroplanes that did make it unloaded the foundations for what would become Little America, 400 miles to the east of McMurdo Sound. New Zealand had acquiesced to the de facto American occupation of its Antarctic dependency. A new international airport was hurriedly planned at Harewood so that the US Navy’s huge Globemaster aeroplanes could land. Paul Pascoe, architect for the terminal, called for tenders before Christmas. He also warned against allowing houses too close to the airport because aircraft noise made it an offensive industry. Also announced were plans for an “aerial vehicular ferry over Cook Strait.” Road transport and other commercial interests formed air charters to do the work! With Operation Deep Freeze 2, the US made the South Pole, 31 October 1956. 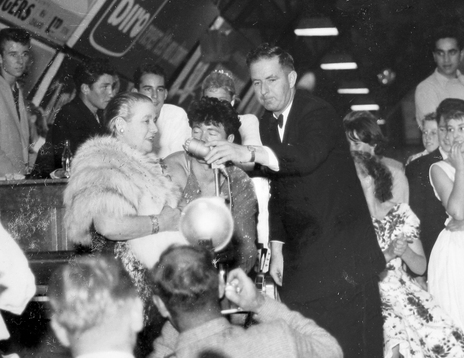 When the Commander of Operation Deep Freeze, Rear-Admiral George Dufek, stepped down from the Navy’s R4D (called Que Sera Sera after the Doris Day hit song) he was the first to stand there since 1912. It was 90 degrees below. The snow was so hard they had to use an ice axe to make a hole for the flag. “It was like stepping on to a new world. We stood in the centre of a sea of snow,” Dufek said. There was no more “new world” left after this for the US to play out that apocalyptic fantasy. This was their last frontier. Christchurch was its St Louis. The City Council committed half a million pounds to the new airport at Harewood to keep Operation Deep Freeze based in their city. By June 1957, the beginning of the 18-month long International Geophysical Year, the Americans already had seven bases scattered across New Zealand’s Ross Dependency. The New Zealand government was ambivalent about the situation. New Prime Minister Walter Nash wanted the polar cap placed under United Nations protection but the Russians had established a base on the ice too and it was rapidly becoming clear that the Americans had no intentions of departing at the end of IGY. For one thing, they were planning a nuclear-powered reactor down there. This move towards the USA was determined by new geo-political realities. The 1956 French-British military incursion into Egypt in an attempt to return the Suez Canal to their control – after Egypt’s President Gamal Nasser had unilaterally nationalised it – meant that the traditional trading route to our major market could no longer be defended by the old imperial power. Not only was nationalism on the move as the European nations faced the decay of their empires but Russia, feared in New Zealand as a source of infection since the 1890s, had moved brutally into Hungary to crush that country’s bid to jump the Iron Curtain. The outgoing National Government in New Zealand had called urgently for a White Paper to address new defence policies. Labour, which won the election at the end of that year, let go one election promise and continued the enforced military training of young men. One of the biggest camps for these trainees was at Burnham. New Zealand began its slow creep into the Cold War paralysis of the American nuclear umbrella. Cultural consequences of these affairs were not long in reaching Christchurch. “New Zealanders seem to waste too much time over their morning and afternoon teas, and the use of many unnecessary utensils and dishes on the dinner table wastes more time when washing up,” commented John Groberg, a visitor from Idaho. Other visitors arrived on celluloid. The film censor had refused three times to permit the screening of Marlon Brando’s film The Wild One in case it encouraged antisocial behaviour, but Rock Around the Clock, the biggest box-office success of the 50s, was released in September 1956. 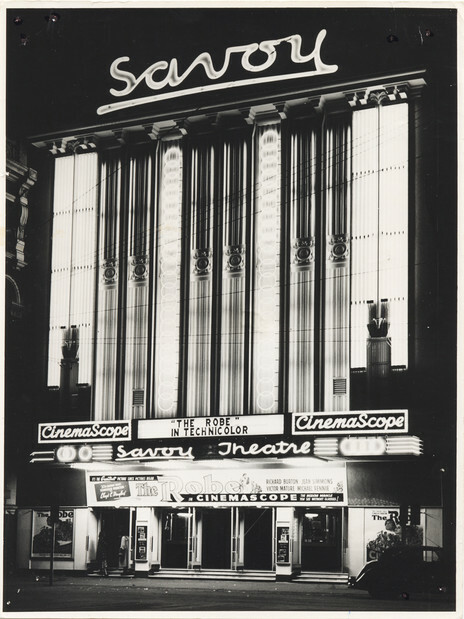 Although the film caused teenage excitement in other centres, Christchurch maintained an outward serenity. On Friday nights, at the Wintergarden, there was Pat Kane’s Orchestra; there was “Mixed Dancing” at the Caledonian Hall with The Serenaders. At the Latimer in Latimer Square, Merv Coburn and his orchestra provided tunes for adults to mingle to. One of the most elaborate of the weekend dances was at the Union Rowing Club Hall where Martin Winiata and the Moonmen offered a “Cabaret de Dance” followed by a “Supper de Luxe”. Despite this musical balm, however, the Other was coming to town. While never reaching the 15,000 who roamed Auckland when the “Great White Fleet” called in there in 1925, the number of US Navy personnel in Christchurch grew rapidly to service American polar ambitions. “Entertainments” were started for them at the Carlyle Street Hall. Then, on December 14, the first refugees arrived from Hungary. The Christchurch Press reported the event alongside a slightly more frenzied story it headlined BIG STOCKS OF CHRISTMAS CARDS IN CITY SHOPS. The city’s monocultural “Englishness” was starting to show scratches on the surface. So was city’s economic base in the rural hinterland: farmers were panicked by an outbreak of ill-thrift disease among hoggets that led to thousands being slaughtered. 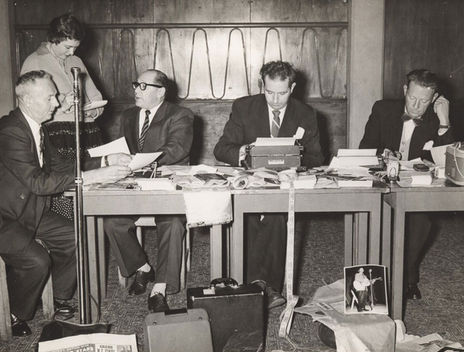 A few days after Trevor’s ad for the Talent Quest had been published, his telephone went. At that moment, was he looking at The Press’s major local story – Girl falls off bike – or was he checking the bookings for upcoming concerts by “THE SINGING BOYS OF MEXICO”, advertised as the equal of the Vienna Boys Choir, who he often managed on their New Zealand tours? He doesn’t remember, for the call was from Eileen Merritt in Linwood and she wanted to enter her son in the Talent Quest. Max Merritt was only 15 but he had been studying guitar for two years with Miss Elaine Moody. He lived with his parents and his interests were movies, stock-car events and record-collecting, especially Elvis Presley. His school-friends called him “Fuzz”. He did not smoke or drink, said Eileen, for both she and her husband were teetotallers. Her husband, Jack, had emigrated from England 30 years before, and worked as a bricklayer. Their son, Max, was a strong boy who could look after himself: already he was 5’11” and weighed 11 stone. He used to go down to the street corner phone booth and sing, over the phone, to his Mum and Dad. He had played at a youth dance in Winton Street. At 15, Max Merritt’s interests were movies, stock cars and record-collecting, especially Elvis Presley. King sent entry forms out to Linwood. A few weeks later, Max, dressed in a white sports coat and a black bowtie, and performing with his brother-in-law, was among the Quest’s three finalists. He sang American music. No surprise since 97 percent of New Zealand’s Top 20 singles that year consisted of US imports. 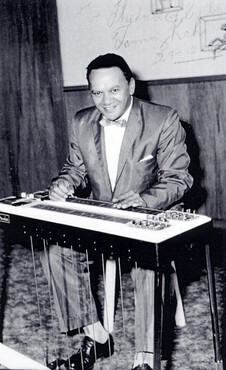 The ups and downs of the chart, especially those of Bill Haley and the Comets, were carried to teenagers by Selwyn Toogood’s nationally broadcast Lever Hit Parade. Superintendent Sugrue admitted that perhaps some young constables were “a little timid when confronted by large groups of hooligans.” From this point, he cautioned, he would use older constables who were “heavier and more experienced” and advised against calling disaffected youths teddy boys, milk-bar cowboys or bodgies as such terms made them “reek hero worship”. Max was out in front of the civic reformers. 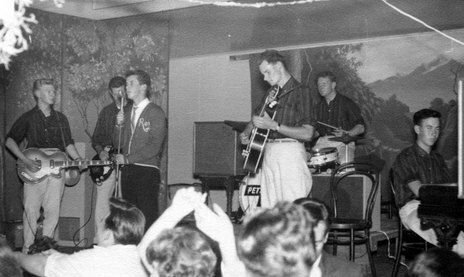 Since the Talent Quest he had formed a band, Max Merritt and The Meteors, and opened the Teenage Club in Sydenham; with its new banner, the Railways Hall in Carlyle Street was open on Sunday afternoons from 3 o’clock to 10 o’clock. Max’s Dad was at the door, taking tickets. Eileen Merritt oversaw a group of other mothers who made tea and cheese scones – tea, scones and sausage rolls but not Coca-Cola – which were free with admission. The band played for 40 minutes and then everyone had a cup of tea. When not playing, Max made sure no one was sticking chewing gum to the furniture. He had left Linwood High School and was working as a brickie for his father. His final school assembly had been addressed by Ngaio Marsh. Refusing to use the school’s microphone (“That thing” she said, “has done more harm to the language than any other invention in the last 50 years”), she enjoined the students to never forget their heritage as the descendants of another island people and instructed them to keep their English “pure” and to avoid using “commercialese jargon” and “girly-girly affectations”. The disdain of “high” discourse was doubtless as lost on Max as was its provincial insecurity. Max was one of 6,800 teenagers who left Christchurch high schools that year after only three years. Ngaio Marsh’s fear the American culture would destroy New Zealand’s connection to its “origin” was well-founded but her dread came too late. Republican values were emancipating the working-class into its own sense of style: mannerisms, haircuts, posture, clothes and music were affects the young vanguard of the workers would exaggerate to define themselves and their difference. The Teenage Club (“behind the Railway line”) managed these affects so exactly, it would be the most successful of all youth clubs. Soon, there were 400 young people in attendance every Sunday. A year later, the Committee – joined by Trevor King – added Wednesday nights at the Olliviers Road Hall to the roster. The Club was advertised at the movies and, in return, members got discounts to the movies. Within two years, there were 900 members at an annual fee of 2/6. The police were represented by Sergeant Paul Simmonds of the Sydenham station. 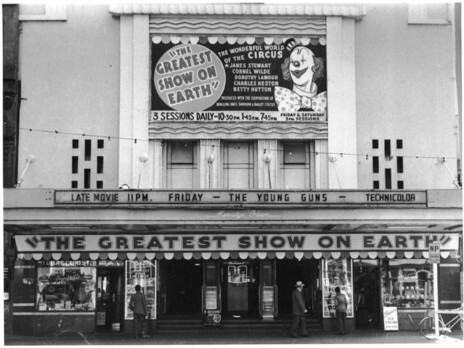 When Max Merritt and The Meteors entered the 1958 Talent Quest, they were again among the three finalists; once more Trevor took them out on the inevitable jaunt around the South Island, this time including towns like Ellesmere and Leeston: the “brightest vaudeville show to visit in years,” claimed the tour posters. It opened, as always, with ‘God Save The Queen’ and then Peter McMullin – billed as “New Zealand’s own Elvis” – sang a few numbers, followed by the Lyman Brothers. The Meteors, consisting of Ross Clancy (saxophone), Peter Patene from Hungary (piano), Ian Glass (bass) Pete Sowden (drums) and Max (guitar and vocals), closed both halves of the show. Before the interval, they followed the rollerskaters, and in the second half came on after the contortionist for the finale. There were 30 performers on the road, in two buses. First they went south and then up the West Coast; they played civic centres and small halls in different towns each night for three weeks. But it had turned into a routine and Trevor, under pressure from North Island promoters eyeing his territory, wanted to do something big to confirm his control of the territory. In January 1959, Coca-Cola was sponsoring the national rollerskating championships at King Edward Barracks. Trevor decided to do a show there with the Meteors, before the temporary stages erected for the championships were demolished. He scheduled it for Monday 12 January. That same night, a national phenomenon was due to wrap up a three-night season at the St James Theatre. Johnny Devlin, a bank clerk from Gonville, Wanganui, had been discovered two years before at a Johnny Cooper Talent Quest in Palmerston North. 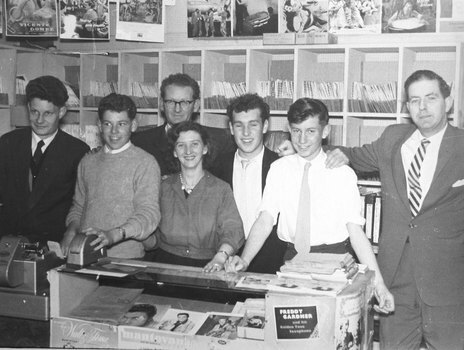 In 1955, Cooper himself had found a measure of fame after recording ‘Rock Around The Clock’ for HMV’s A&R man Dave Van Weede, in a converted dairy in Island Bay, Wellington. 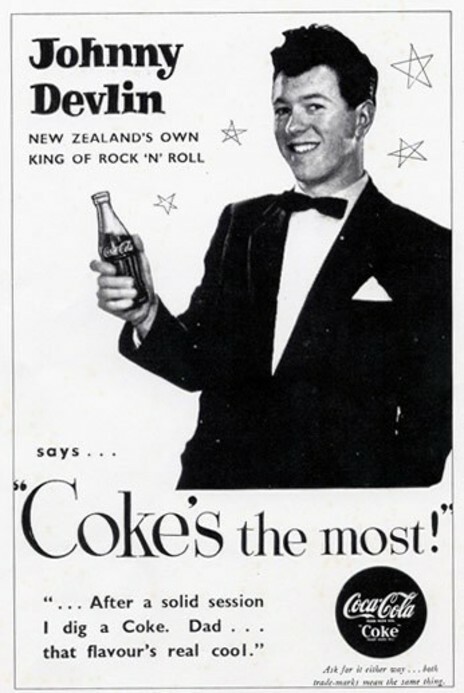 Johnny Devlin's 1958-59 national tour was sponsored by Coca-Cola: he dug the flavour. Devlin’s last show at the St James was “sensational”. An hour after it finished, as he made his way through 300 screaming teenagers at the stage door, two policemen were knocked to the ground and their helmets crushed. Devlin was with Mabel Howard, Member of Parliament for Sydenham and Minister of Social Welfare. Devlin’s manager had known Howard’s press secretary and suggested they get their two “acts” together. Miss Howard went along for the publicity. In Devlin’s pink Cadillac, they drove to King Edward Barracks. There were 2,400 people inside – and 3,000 outside. Martin Winiata played. Tommy Kahi played. Max met Johnny. Miss Howard, in fur stole and evening dress, was photographed by the press. Max played; Johnny and Mabel left together in the Cadillac. Soon afterwards, Johnny left for Australia as the opening act for the Everly Brothers; in 1958 ‘Bird Dog’ had been their biggest hit in the country, their only No.1. And Max discovered an idea called “America”. Partly because a major political problem between New Zealand and US military forces occupying Antarctica – the question of legal jurisdiction – was resolved in 1959. The Antarctic Treaty, signed that year, called for the internationalisation of Antarctica and joint administration of the whole polar cap; its hopeful conclusion was that there would be no more territorial claims. The immediate result was that the number of American sailors increased as the US tried to isolate the Russians. The sailors spread out in Christchurch, singing Lloyd Price songs like ‘Stagger Lee’, from their Bird Dog club at the airport to Max’s Teenage Club.